Touch button automation with remote stack capabilities has arrived. ComfortDrive features individual, motor-driven panels. 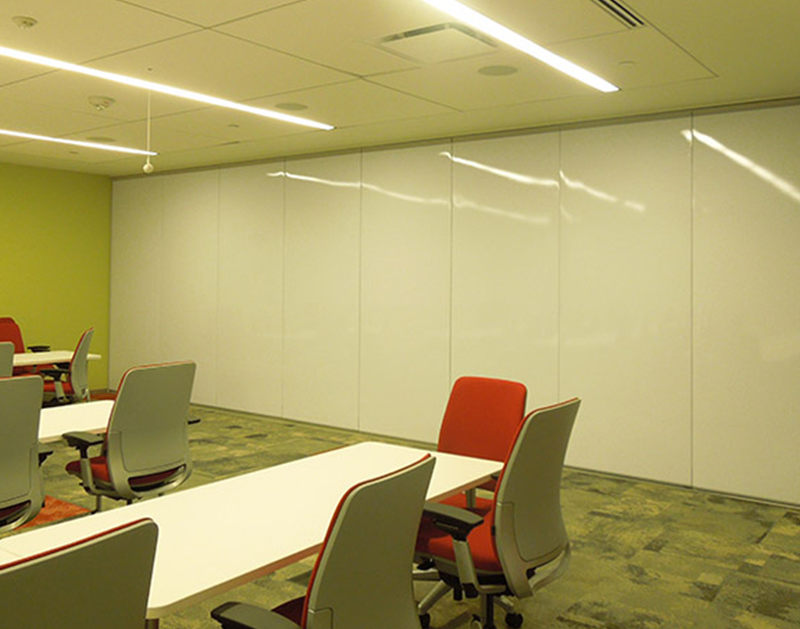 Initially available with CompactLine glass panels... but stay tuned for additional panel options in the near future. 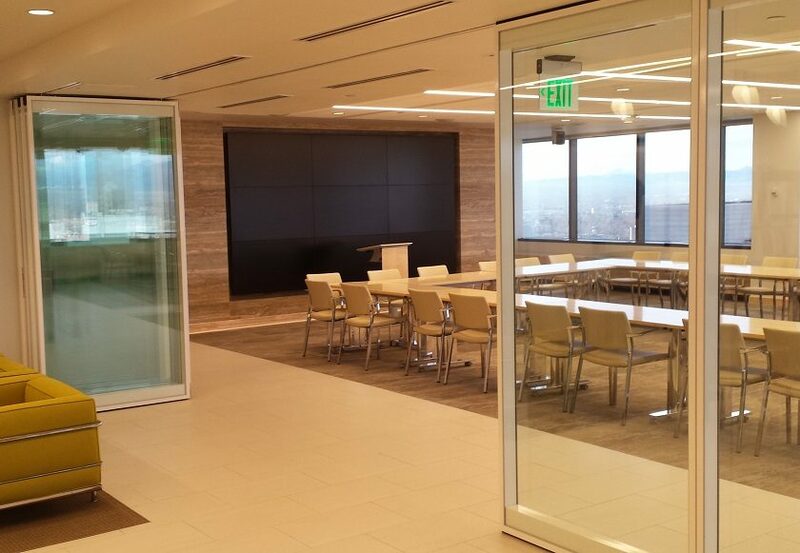 Modernfold manufactures a comprehensive line of operable partitions, operable glass walls, and accordion doors. 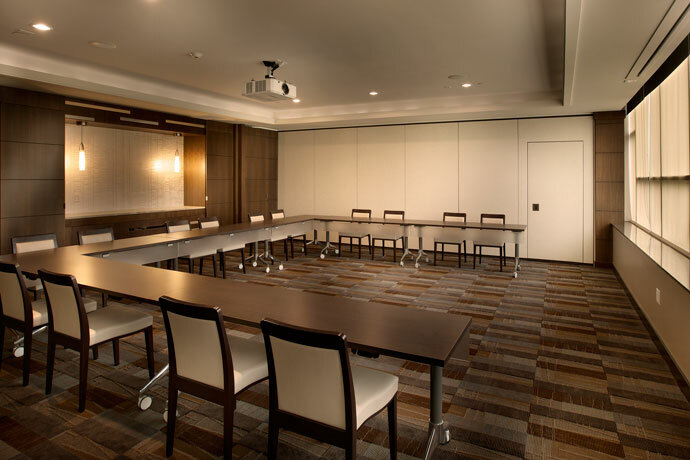 Featuring a wide range of acoustic, aesthetic, and performance options as well as electrically-operated and manually-operated systems, Modernfold sets the industry standard for quality, durability, and innovation. 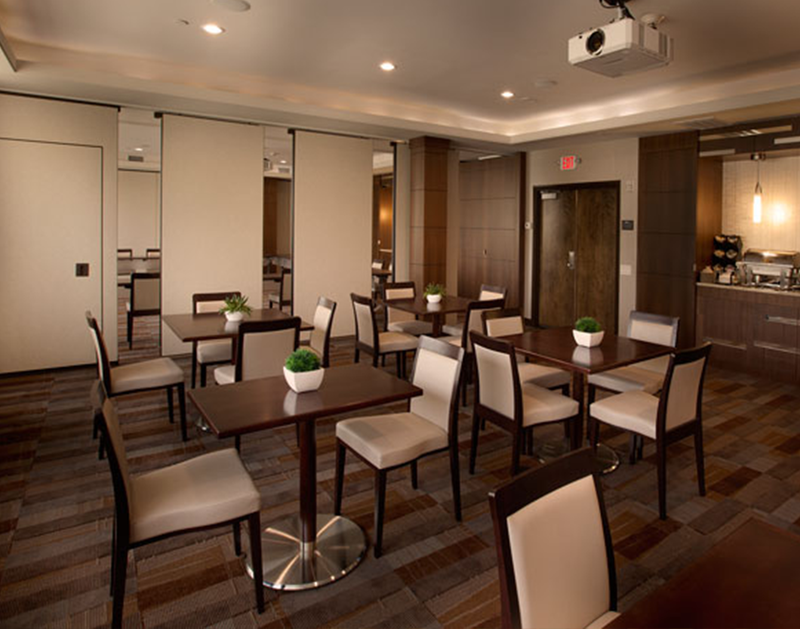 Open your floor plan and bring in the daylight with Modernfold Glass Wall Systems. 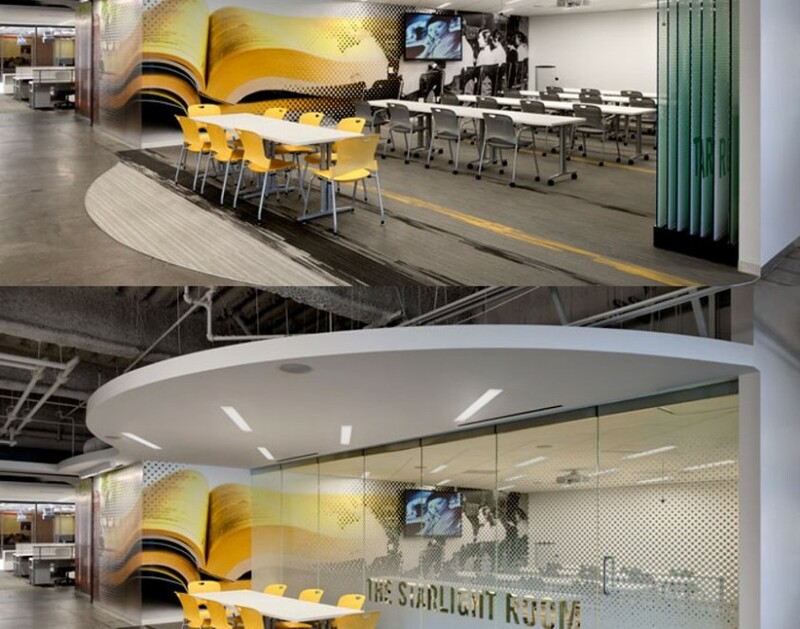 With an array of glazing options, various contemporary frame profiles, and the reliability and flexibility of Modernfold's track systems, GWS systems are being used in virtually all market types including corporate interiors, schools and universities, churches, and more. Think acoustic performance and glass are mutually exclusive? 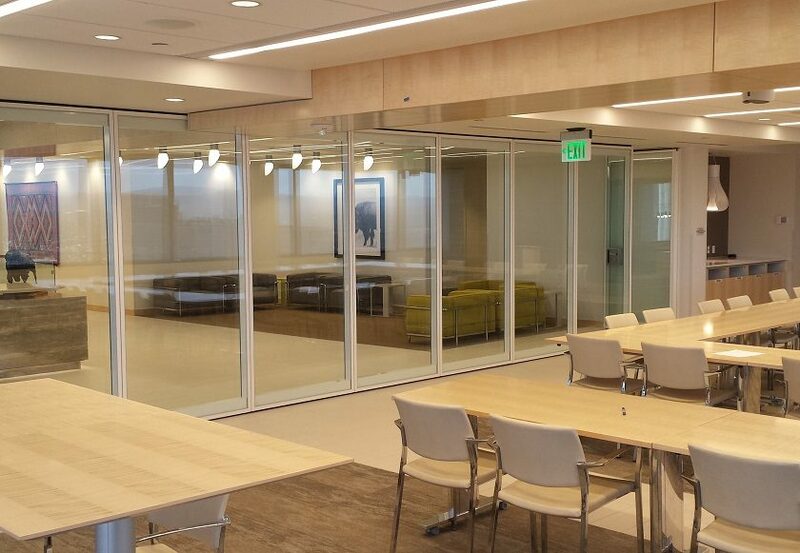 Let us introduce you to Acousti-Clear, Modernfold's revolutionary operable glass partition featuring a 45 STC rating, glass pass doors, motor operated top and bottom seals, and optional integral privacy blinds. 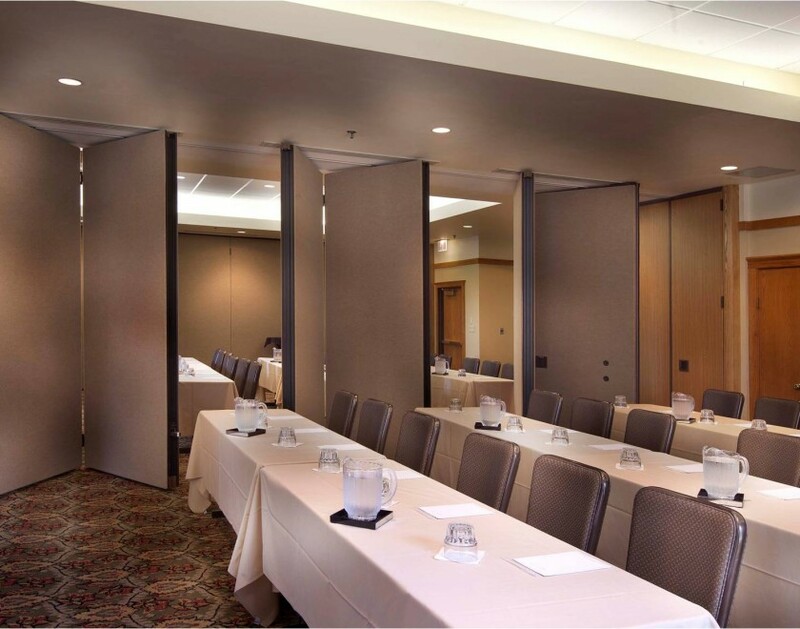 Matching pass doors along with Modernfold's Smart Track suspension system maximize layout flexibility. 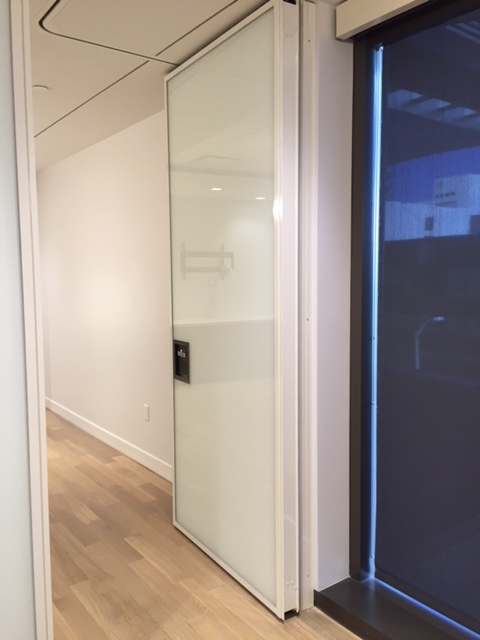 Glass pivot doors ensure aesthetic continuity and maintain the acoustic integrity of Acousti-clear. 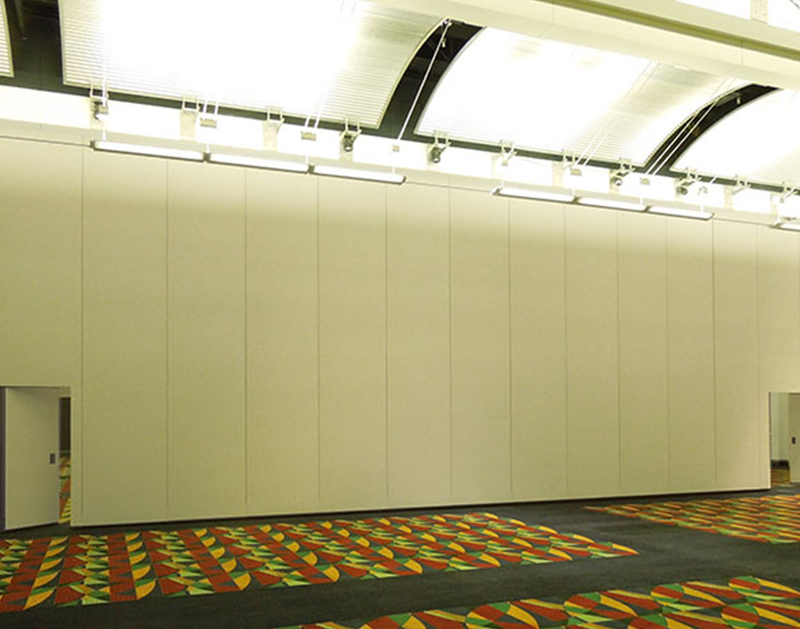 Modernfold's Acousti-seal model operable partitions have set the standard in the industry for over 30 years featuring 3" thick, welded steel panel construction, frameless vertical edges, and manual or motor operation. 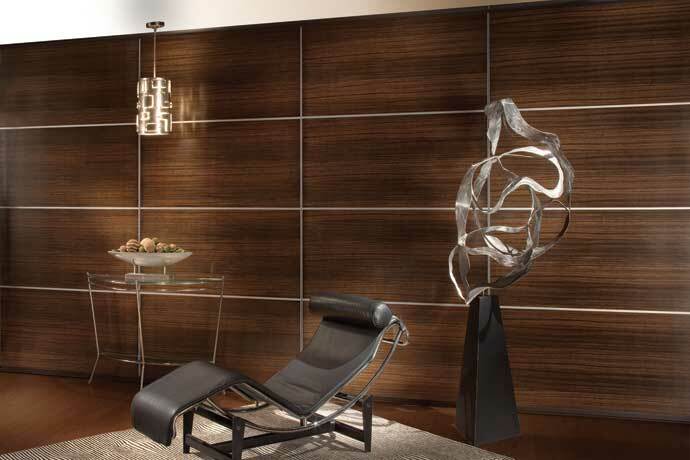 Available with gypsum or steel substrates, these panels offer unlimited versatility with regard to the wall finish material featuring fabrics, vinyl, custom wood veneers, p-lam, marker boards, custom metals, glass cutouts, and more. Acoustic options ranging from 28 - 52 STC. 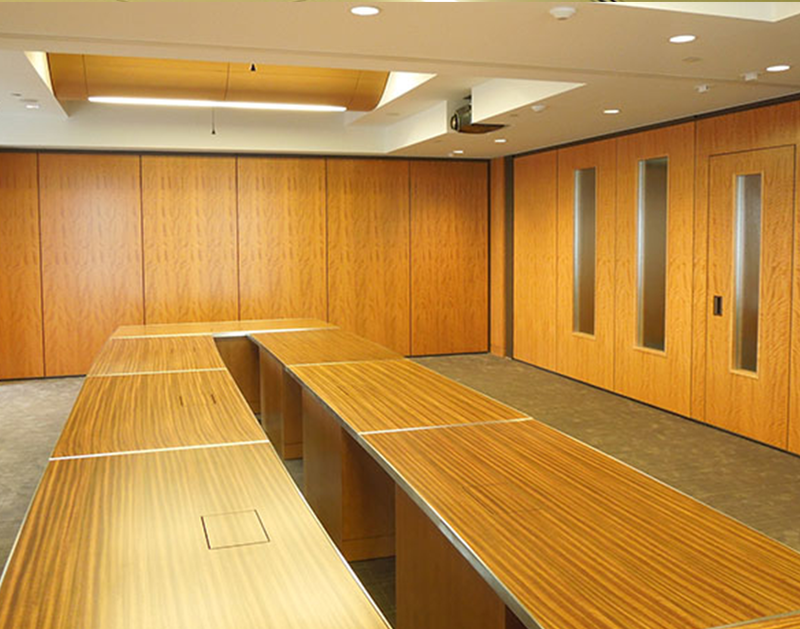 Full-height, trimless marker boards or standard 4' high marker boards can be integrated into the panel finish to provide an uninterrupted writing surface... an ideal solution for classrooms and meeting rooms. 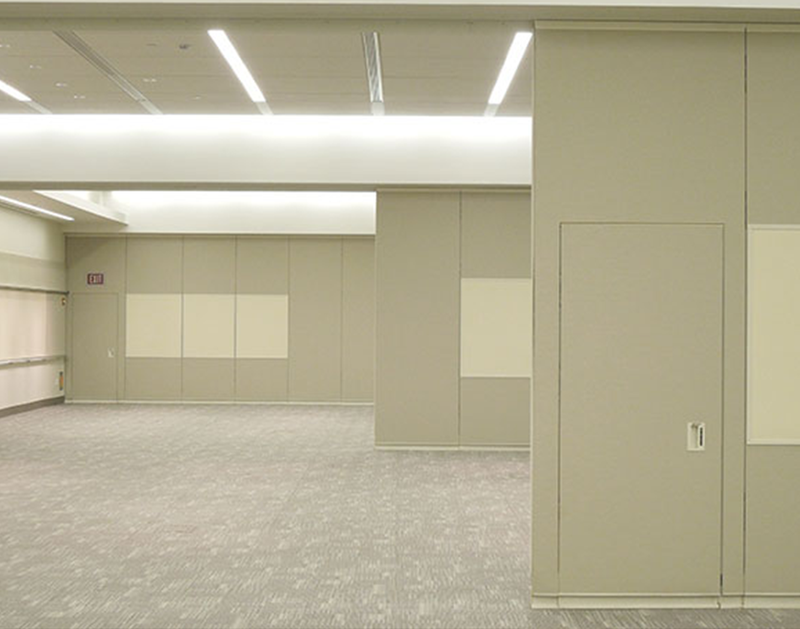 Featuring almost limitless finish options, Modernfold Acousti-Seal operable walls can be used to make a design statement or seamlessly blend into the room finishes. 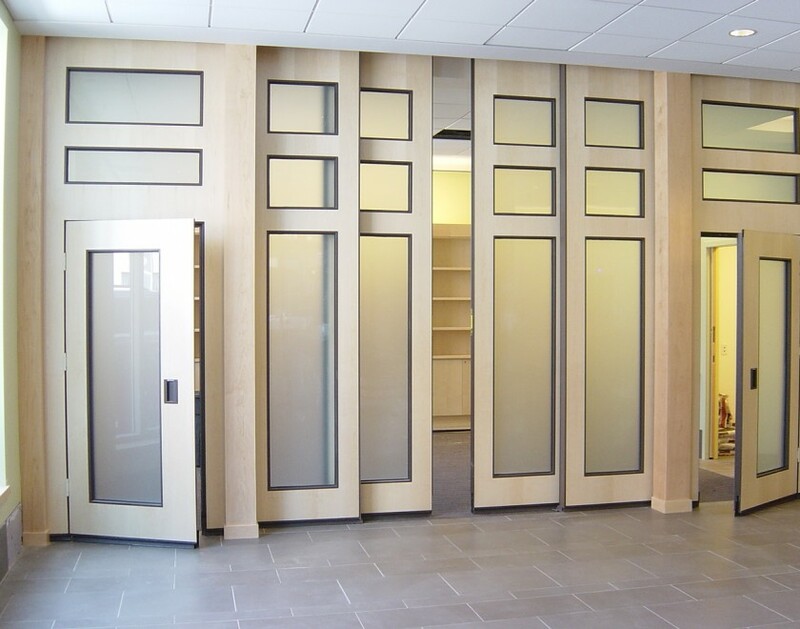 Custom wood veneers and glass cutouts are among the myriad options availalbe to customize your Acousti-Seal operable partition. 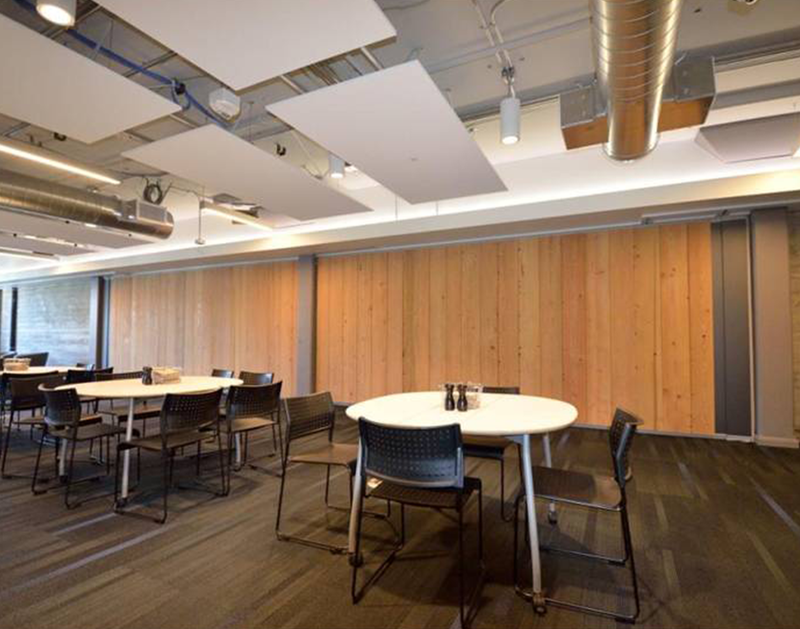 Building on the success of Acousti-Seal, Encore was developed to offer even higher levels of acoustic performance and unmatched design aesthetics. Available in 52, 54, or 56 STC, Encore features 4" thick panel construction in both manual and motor operated systems with operable top and bottom seals. Available with ComfortDrive Automation in 2017! 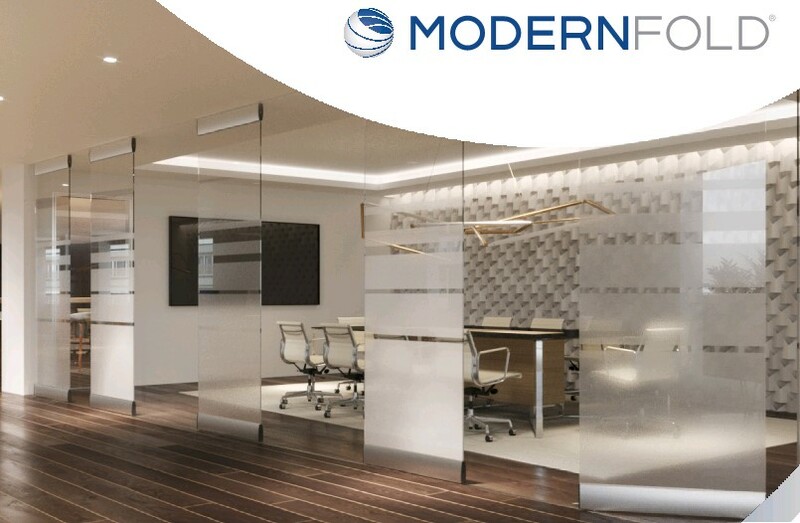 Open your floor plan and bring in the daylight with Modernfold Glass Wall Systems. 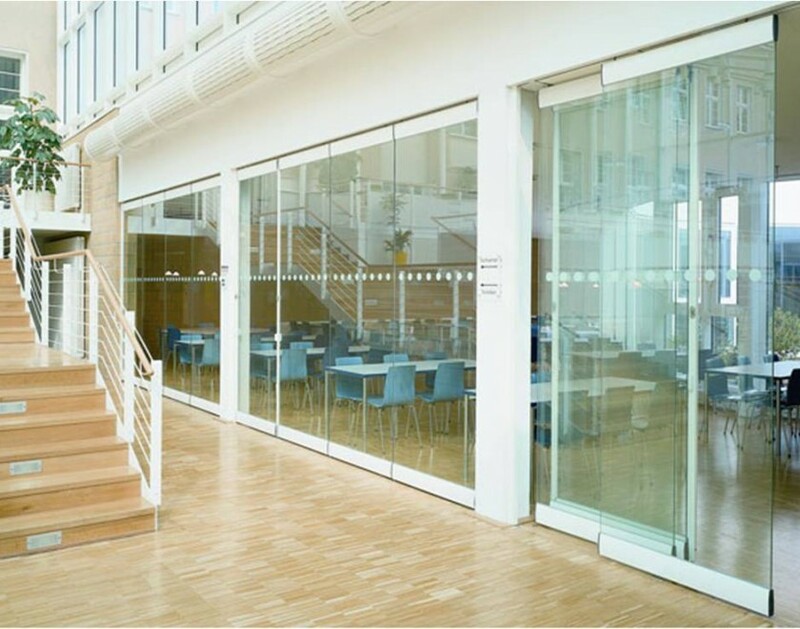 With an array of glazing options, various contemporary frame profiles, and the reliability and flexibility of Modernfold's track systems, GWS systems are being used in virtually all market types including corporate interiors, schools and universities, churches, and more.